ll systems are “go” for the 2013 GiveBIG campaign on Wednesday, May 15th. If you click donate link, you will be taken to our donation site. Only donations made from midnight to midnight on May 15 will count towards the “stretch pool” funds. The link will take you directly to the secure donation web page. Donations can be in any amount, but a minimum of $25 is suggested. There is no upward limit to the donations. All major credit and debit cards will be accepted, with anonymous donations possible. There is a small fee on each donation by Click & Pledge, a separate organization which handles the online donations. 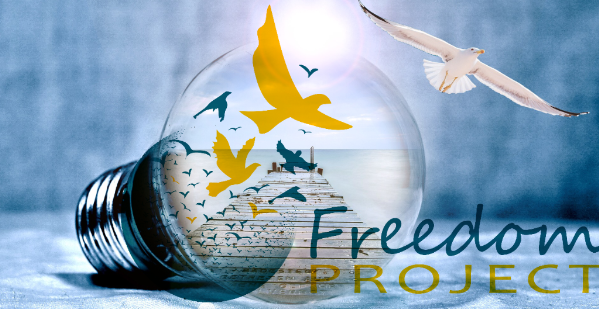 The Freedom Project is one of over 1400 nonprofit organizations who has joined together for this one day event. This event unique costs each organization nothing to participate as the Seattle Foundation takes nothing from the donations. The Foundation is also raising funds for a separate “stretch pool” from sponsors, such as Starbucks. The pool will be spread among all participating organizations based on the amount raised by each organization divided by the total amount raised in the campaign. One hundred percent of the funds donated, including the processing fees, are tax deductible. Last year, the Freedom Project received about $500 of the stretch pool funds, which more than offset the fees collected by Click & Pledge. In addition to the funds raised, each organization will be eligible for random drawings, called a “Golden Ticket” and receive $1000 during the evening. There will also be drawings for $100 gift cards from Starbucks, one of the sponsors of the GiveBIG campaign. You can check out the Seattle Foundation website’s donation information page: http://www.seattlefoundation.org/givingcenter/GiveBIG/Pages/default.aspx. We encourage all of our friends and supporters to give generously to the Freedom Project during this event.